In the age of community rating with fully-insured health plans, why not make underwriting for self-funded health plans simple, secure and effective? With the growth of alternative funded ERISA and partially self-funded health plans, carrier-specific health applications are still required to receive a firm rate proposal if prior claim experience is not available. 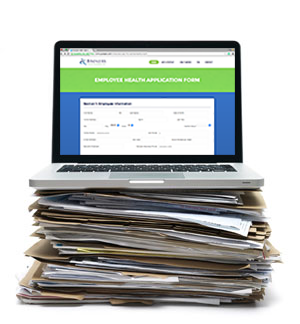 So often, completing a carrier-specific health questionnaire and obtaining proposals from multiple carriers to compare rates is a real hassle and inconvenience for both employers and employees alike. Broker’s Health Exchange provides you with the solution – a simple, secure and effective way to bypass the hassles of group health underwriting for alternative funded health plans! Through a unique and secure digital data mapping process, Broker’s Health Exchange allows agents, employers, and employees the opportunity to streamline the health underwriting process, year after year. Simple, secure and effective… Your solution is here.